It’s Almost Christmas! Today Retro Reaction looks at the toy every kid won’t go without. The action figure. Definitely not a boys doll. No these action figures looked like our heroes from the TV. Be it the Ghostbusters, the Power Rangers or Hulk Hogan. Ever had Hogan and the Warrior battle on the Ghostbuster Eco One Car? I did! Destroyed many a (now priceless) collectible in these dream match ups. A word of warning on these figures particularly the Power Rangers. These were the ones your parents probably line up for hours to try and get from Toys R Us. For action figures they weren’t up to much… well actual action. They were more possible but put the in the ring with the Hasbro Undertaker figure and the legs are going to get bent and your mother is going to get annoyed. 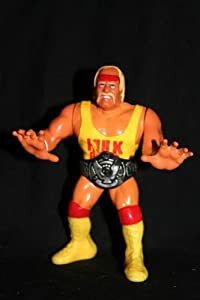 My brother had a habit of munching on the fingers of the wrestling figures. A fact I was reminded of recently when finding them in the attic hoping to make some cash. There’s nothing more disappointing than an Andre The Giant figure showing you his digit-less hand. Nothing quite says I’m worthless now like that. 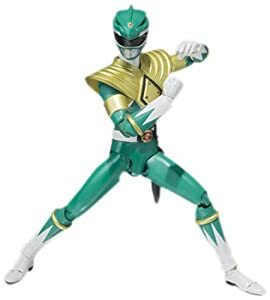 Same with the broken legged Power Ranger. The fun was finding these figures. Heading round the local car boot with a few quid looking for WWF figures chucked in a box at £1 each. One figure was really hard to find. Yokozuna. My Grandad was lucky enough o find “Yokozuma” as he called him on a car boot but would not let us have them until there was two. Eventually we compromised that we would have to “share” Yokozuna. That was fun. I actually liken them early days with action figures to being the same as the video games we play now. Especially the licensed ones. They wanted the same goals, to recreate the TV show and put you in control. Sadly there comes a time with action figures where you just can’t play them anymore. When your friends come round and you ask “Wrestling figures?” They look a bit gone out (no I don’t mean now I’m almost 30, I’m not that crazy). So the action figures get relegated to the attic. It’s Toy story all over again. I think these toys will strike a cord of nostalgia with anyone of a similar age. That is why I smile when I see the (now) WWE advertising their toys or the Power Rangers resurgence. For some it all begins again.